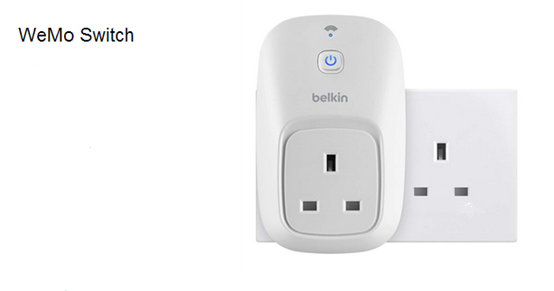 The Belkin Wemo switch has all the attributes required of an intelligent plug; it can be controlled from in the home or remotely, at will or with a timer. Most modern smartphones can operate it using the Wemo app and a broadband connection. Electricity suppliers or service companies could be given permission by us to control these plugs in conjunction with Time-of-Use tariffs to save us money. But you don't need one yet- a normal time switch will save you money for less. How will this reduce my carbon footprint? The carbon footprint of each unit of electricity is about 470 grams of CO2 on average. But at peak times, the percentage of dirtier coal fired power goes up, and so shifting your use from peak times to other times will reduce your carbon footprint. By how much? This depends on the precise mix of generation at different times. But as an example, coal fired generation, the dirtiest, has a carbon footprint of 870 grams of CO2 per unit of electricity. If the reduction is from the coal level to the average level,then you will save 870-470=400 grams of CO2 per unit shifted. If you have an immersion heater and it uses an average of 300W, and you shift it for 5 hours, say from 3-8pm, then you might save 300x5x400/100 = 600 grams a day, or 60 Kg over a 100 day winter period. You might save more, but it will be of this order. If however, your time shifting is repeated across the country, and as a result coal fired power can be progressively replaced by PV or other low carbon source, your CO2 savings will be greater.